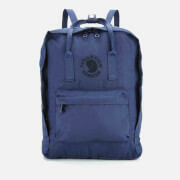 Helping make the outdoors accessible to all, Fjallraven present the Kanken Backpack in navy. 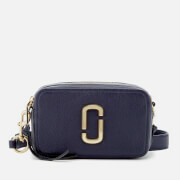 Constructed from durable, lightweight and waterproof Vinylon-F fabric, the spacious bag features a main compartment with large zip opening, two exterior pockets to the side and one to the front. Versatile and easily transported, the bag can be carried with adjustable shoulder straps or top handle and boasts a detachable EVA seat pad inside. Finished with reflective Fjallraven logo to the front for optimum safety.